Celebrate the sunshine this spring and summer with an exquisite backdrop of the Yarra River and city skylines. 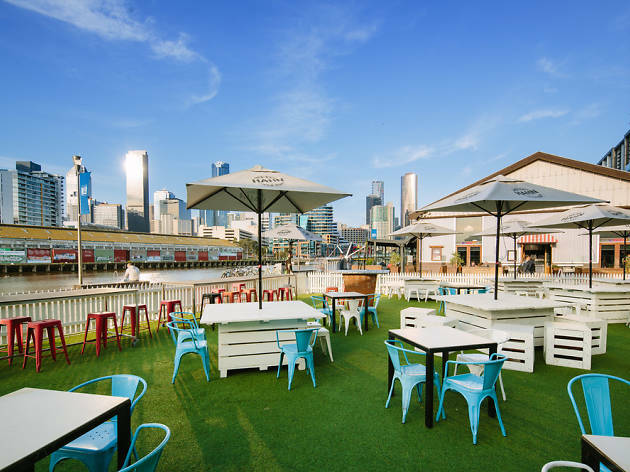 The Common Man Lawn is transforming into the Riverside Garden Pop-Up, complete with white picket fence, astro turf, container bars, drink and BBQ specials. Sip on Kahula espresso Martinis, summery cocktail jugs, Coopers beers, Squealing Pig Rosé in a can and feast on delicious BBQ specials.